DuVoice has been developing software and hardware solutions for the telecommunications industry since 1990. Products include Windows based hospitality software which provides guest and staff messaging, wake up calls and a property management interface to any PBX-PMS combination. In the business market DuVoice has unified messaging system which delivers voice mail messages to email. DuVoice products are installed in several thousand properties in 50 different countries throughout the Americas, Europe, Asia, Africa and Latin America. Duvoice provides legacy or IP PBX (premise or hosted) systems the necessary features to meet all hospitality applications, including PMS to PBX interface, housekeeping status, wakeup calls, guest messaging, staff unified messaging, a web console for staff, auto attendant, and mini bar refill software. The DuVoice PMS interface allows a single interface for automatic control over the guest room telephones and voice messaging system. With a few keystrokes, guests can schedule their own wakeup calls on their room phones. User friendly prompts walk them through the process and play a confirmation of the time and date. Guests can even set multiple wake-up calls for the same room. Hotel staff can also schedule wakeup calls for the guests, either by touch-tone commands on the telephone set, or through InnDesk with a point and click interface on any PC on the network. A friendly call Unlike other systems that simply ring the phone, DuVoice plays a custom wakeup greeting when the guest answers. This greeting can be changed daily if desired. Guests can even specify one or more ‘snoozes’ after the initial wakeup call. 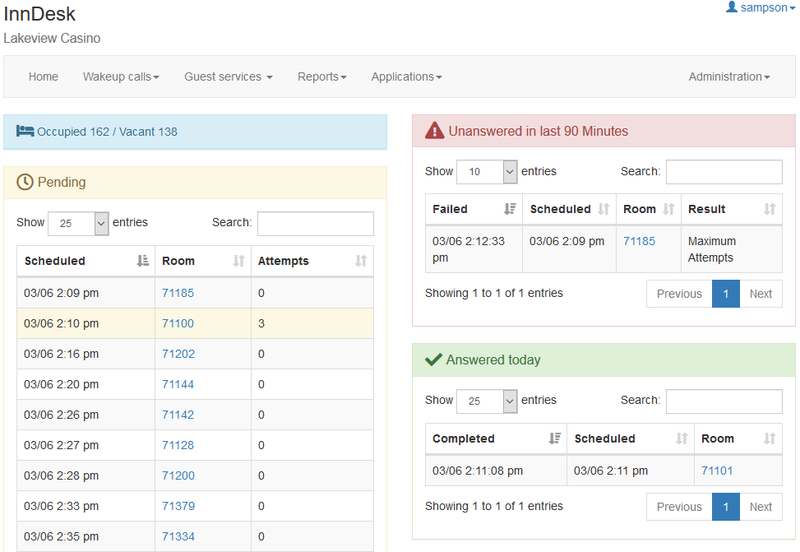 Hotel staff has access to detailed reports on wake-up call activity. Pending Wakeup Report shows all scheduled calls. Failed Wakeup shows all rooms where wake-up calls were not answered by the guest. Wakeup Report shows all wakeup activity for a specific room; including when calls were scheduled, who scheduled the calls as well as the result of completed calls. Failed Wakeup Alert In the event a wakeup call is not answered by the guest, the system will place an automated call to a pre-determined location to alert staff of the failed wakeup call. In addition to automatic check-in / check-out from the PMS, staff can also manage guest rooms with an easy to use point and click web based interface from any staff PC on the network. Guests can retrieve messages and set wake up calls in their native language. 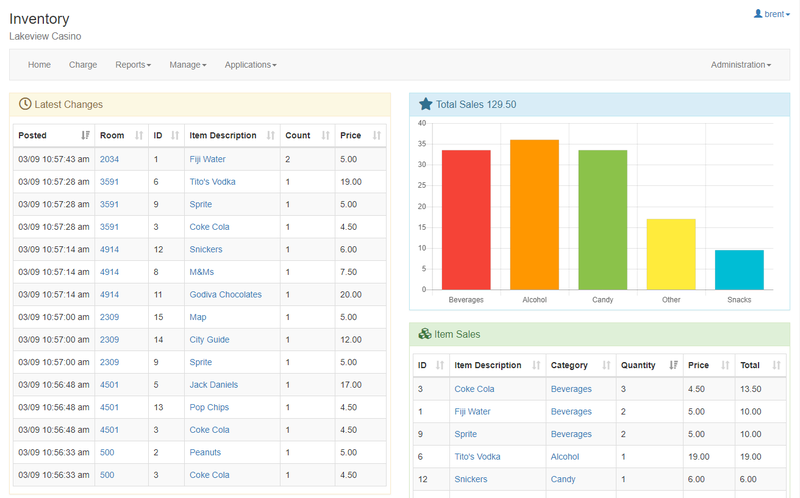 The language can be provided by the PMS system or set by the hotel staff through InnDesk. 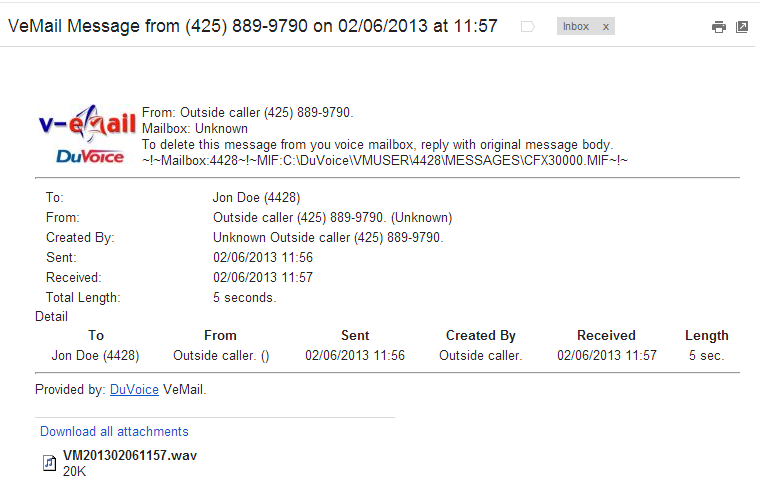 With DuVoice VeMail, voice mail and fax messages are delivered as attachments to Email messages. There are no special Email server or network requirements, nor do you need a special player to receive, listen to, or view messages. If you can send and receive Email, you can use DuVoice VeMail. To hear an your message, simply click on the attachment to the email message, and listen to it over your computer speaker or headphones. To delete it from your voice mail box, just click reply and send. Fax messages are delivered as .tif or PDF files attached to Email messages. There are message formats available for PC, MAC, IOS, and Android devices. DuVoice has tested and certified the following products to work on or with the DuVoice software.